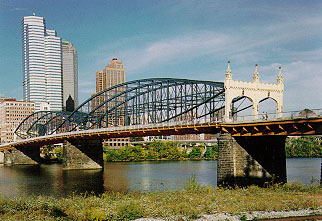 With all the bridges in the city of Pittsburgh, how exactly should a Penguins fan go about choosing just the right one to jump off following the uninspired play of the first two games of the Eastern Conference Finals? Sure, you could go for the tried and true Smithfield Street Bridge, I mean it’s old… Very old… Not to mention Historical. You would end up right in the Monongahela (Pennsylvania River of the Year mind you), But in a town with bigger, brighter, and much more vibrantly colored choices, would one run the risk of being considered “Ironically Lame” for heaving themselves off the Ol’ Smitty? Now I am not going to berate you for experiencing your own little moment of Hockey Doubt and Pain. I cannot stand people that tell me to stop being negative, as if I am able to pull something positive out of being outscored 9-1 through the first six periods of the series. The only positive I can find in my heart to be truthful is that Monday night was not Game Four, and that we still have a chance to cheer on our team tonight. That is if any of you are still with me. I could read you every inspirational quote I know, I could stand on the roof of the Steel Building and urge you to not lose hope. Hell, I could even recite William Wallace’s speech from Braveheart, channel my inner Bill Pullman on the tarmac in Independence Day, or put on some checkered trousers and do my best Herb Brooks impersonation. I know for a fact I have tried a few of those and more in the past, but what good would any of them do now? Nothing… Because we as Pens fans don’t need hope, we know what our team can do and are confident in their abilities. We know Crosby is the Greatest hockey player on the face of the Earth, Letang could win the Norris Trophy, and Geno is always going to be score… We just need to see it, and we need to hope we see it Fast. The best teams find ways to pull themselves together and in the face of adversity, remind the world why they are regarded as the shining example of how to do things the right way, how to compete at that higher level, and more importantly, how to win when it matters. Ladies and Gentleman, Tonight most definitely matters. So why don’t you step back from that ledge my friends. Take a deep breath, drink a frosty cold libation, and Buckle up baby, are you kidding me? Because tonight is A Hockey Night in Pittsburgh, and although our boys are in Beantown for the fight, the struggle to keep their season alive, We back here in Pittsburgh must fight to keep ourselves from falling prey to Inter-fandom Cannibalism. 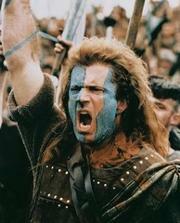 What if William Wallace would have jumped off the Bridge at Sterling instead of facing the English hordes? 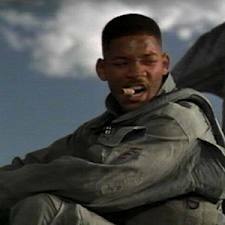 What if Bill Pullman had not listened to Jeff Goldblum and Will Smith never had the opportunity to shoot a nuclear weapon from a 50 year old alien spacecraft? 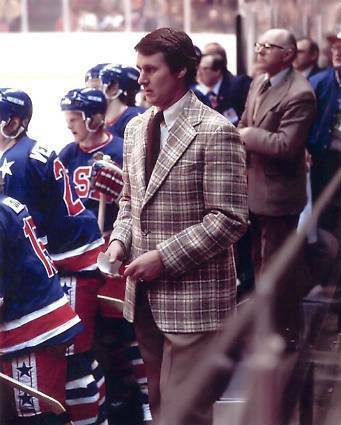 What if Herb Brooks had let his group of College kids go home and rest after the 3-3 tie with Norway instead of making them do line sprints for hours? What if Sidney Crosby and his band of brothers in Black and Vegas Gold did not turn the tide of the series in Game Three, against the odds and away from home to remind the world why they are where they are? I guess we will find out tonight.